It’s now even easier to use ClearScore, because it can fit in your pocket. Today ClearScore launches its new app, giving you free access to your credit report and score, as often as you like, no matter where you are. The ClearScore app makes it simple for you to see the financial information lenders use to make decisions about you and actively manage your score. Its intuitive and attractive design sets it apart from traditional financial products, which often include complicated charts and graphs. After a simple, secure set-up process, the ClearScore app matches you with your Equifax credit file. ClearScore then creates a beautifully designed dashboard displaying your credit score, credit accounts, financial associations and searches against your credit profile. What’s more, the app tracks your financial position on a monthly basis, meaning you can build a long-term picture. Notifications alert you each time your new report is ready, and any changes are highlighted. Just like the website, users of the app are not required to enter any bank account or credit card details at any stage, providing reassurance they will never be charged. ClearScore also guarantees privacy – promising to never sell customer data. The app uses a powerful data engine to present its customers with suggestions for credit cards, loans and other financial products, tailored to their unique financial situation and which could save people money. 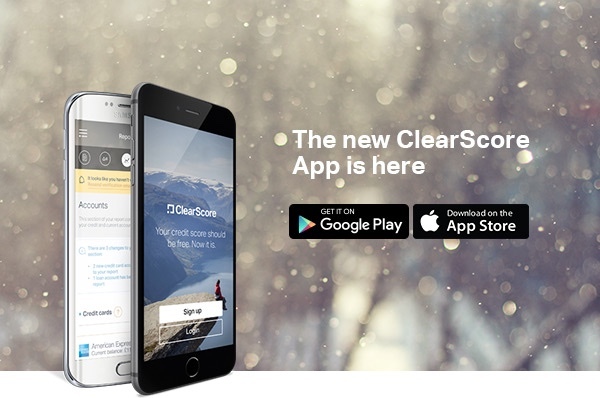 The ClearScore app launches on 21st December 2015 and is available for free on iOS and Android smartphone.